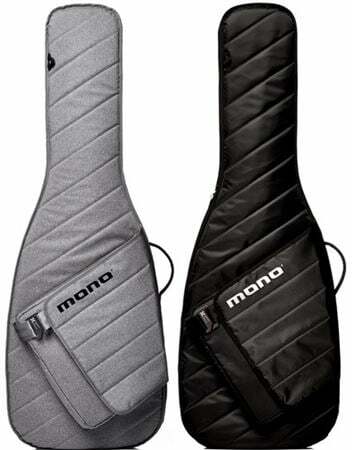 Shop Mono Bass Sleeve Bass Guitar Gig Bag from AMS with 0% Interest Payment Plans and Free Shipping. Innovative protection and accessibility, the Bass Sleeve is top-loading for quick stand-up convenience. There’s no need to lay the case horizontally to access the guitar because a hidden diagonal hinge makes it easy load and unload your guitar from the top. A super slim and stylish professional gig bag, the Bass Sleeve is designed to be a minimalist solution for traveling light and simple. 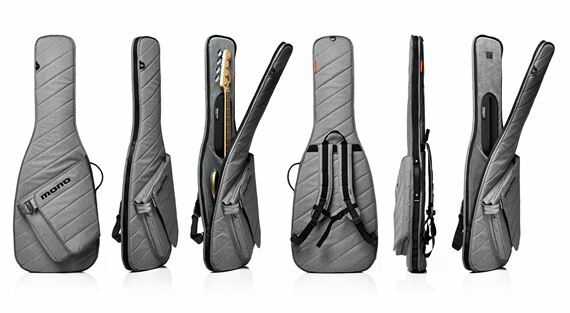 Top-Loading for quick stand-up access allows you to quickly unzip the case and pull your guitar out from the top. Patented neck suspension system features a Headlock molded from solid, shock-absorbing EVA rubber to protect the neck and headstock. Includes a messenger-bag style storage pouch that's perfect for small laptops and cables that you might need when traveling light. Sleeves are built using only high-test materials with extreme resistance to abrasion and the elements. Fits standard dreadnought guitar models and most archtops. Dimensions: 48" x 15.5" x 3"
The above measurements represent the inner capacity of the Sleeve™. If you are unsure about the fit for your instrument, make sure it does not exceed any of the maximum dimensions shown. The Sleeve is designed for standard, solid-body electric instruments. Hollow-body and other instruments with an overall maximum thickness (including bridge, pick-ups, knobs, toggles, etc.) of 3" are not recommended for the Sleeve. Bass Sleeve pouch internal fitting dimensions are 14" wide x 12" long (short side), 16" long (long side), and can be filled up to 2.5"- 3" deep. Please check with support if you have fitting questions. I have been a fan of MONO cases for a while. Yet again I was thoroughly impressed with the quality of this case. It’s light yet sturdy. Giving the protection of a much heavier case at a fraction of the weight. Being a bigger the straps are still very comfortable for transport! While it doesn’t have all the bells and whistles of Mono’s flagship gigbags, it is a really nice gigbag for the price. Well padded, and provides good neck support. Keeps my hand built bass well protected and ding free. I typically didn't care for gig bags until I got a Mono bass sleeve when I traded basses. Once I sold the bass & had to include the gig bag I had to buy another. Well padded & much better to handle & load than a case.